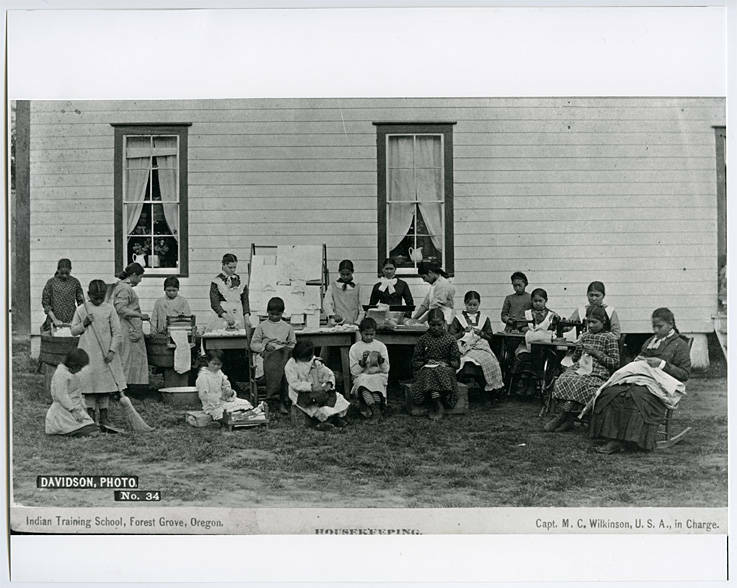 A photo of the housekeeping class of the Forest Grove Indian Training School. The twenty girls of various ages are in western dress and are performing various housekeeping tasks which range from sewing to washing. Davidson, Photo. No. 43. Indian Training School, Forest Grove, Oregon. Housekeeping. Capt. M. C. Wilkinson, U.S.A., in Charge.